On Saturday, 2 February 2019, a group of Lajna members from the ages of 15-21 had a mulaqat with Hazrat Amirul Momineen, Khalifatul Masih V, may Allah strengthen his hand. During the mulaqat, this fortunate group of Lajna had the opportunity to ask Huzooraa various questions on current affairs, issues they faced and the Islamic perspective of various matters. “There is a story behind this mulaqat. A while ago, Hazrat Khalifatul Masihaa had instructed the sadr of Lajna Imaillah to visit the northern areas of the UK to observe some of the challenges being faced by the younger generation. Thus, I went and visited areas in the north. To attend this mulaqat, Lajna from distant places were invited, for example, Midlands, Hertfordshire, Bedfordshire, South West England and parts of Greater London. A Lajna member from Hounslow asked Hazrat Khalifatul Masih Vaa regarding his stance on Brexit in light of the current political state of Britain. Huzooraa replied that he had spoken on length on this issue at the European Parliament. Huzooraa then stated that he had voted against Brexit and expressed concern at the current state of affairs. A question regarding polygamy was raised by an international student from Pakistan who asked Huzooraa why, in today’s modern day, Muslim men were allowed to marry up to four times? Hazrat Khalifatul Masihaa gave the example of Prof Abdus Salam Sahib who studied physics and said that he was able to do tabligh and spread the beautiful teachings of Islam even whilst working in his field. Sadr Lajna Imaillah UK, Dr Fariha Sahiba told Al Hakam, “The feedback that we received after the mulaqat from the Lajna who attended was overwhelming. I received many positive text messages. 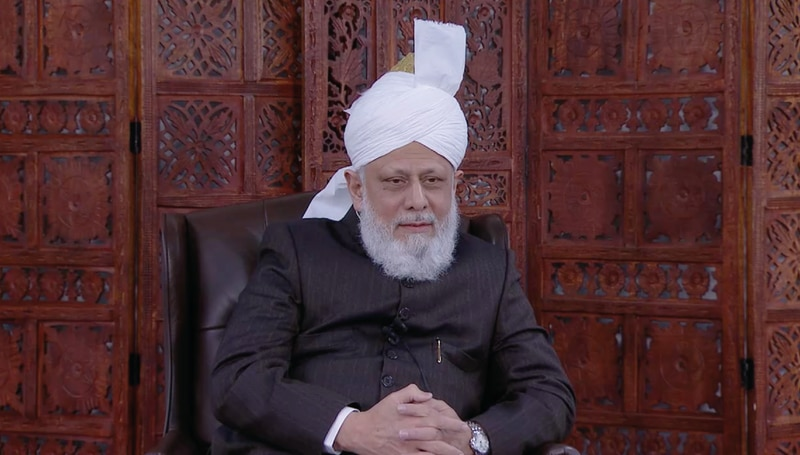 “In previous mulaqats, Huzoor has always encouraged girls to be open about the challenges and questions they may be facing. Recently, Huzoor said in a mulaqat that if those in attendance were too shy to ask their questions, then they should write him their questions. Accordingly, many girls wrote to Huzooraa and received letters spanning multiple pages in response. This fortunate group of Lajna had the blessed opportunity to sit in the presence of our beloved Imam for guidance and to ask questions on various subjects. Throughout the year, many are fortunate to travel and have an audience with Hazrat Amirul Momineenaa in which they are able to seek guidance on various matters. 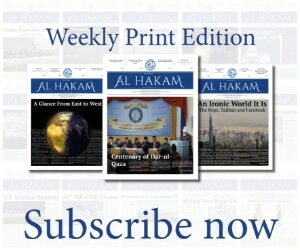 Through Al Hakam, we try to provide our readers all around the world with the essence of such mulaqats. Although those who live far away cannot physically be with Huzooraa, but can stay up to date with our beloved Imam’s engagements. May Allah bestow our Imam with an army of loyal servants who are ever ready to defend the honour of Islam Ahmadiyyat.